After dropping off our bags, we took a lazy stroll through Rittenhouse Square and Society Hill. When we lived in Philadelphia, we really took the gorgeous Art Deco architecture for granted. I'm glad we had a chance to appreciate it now. We were feeling a bit jet lagged so popped into Elixr Coffee. Futuristic art featured prominently on the walls. 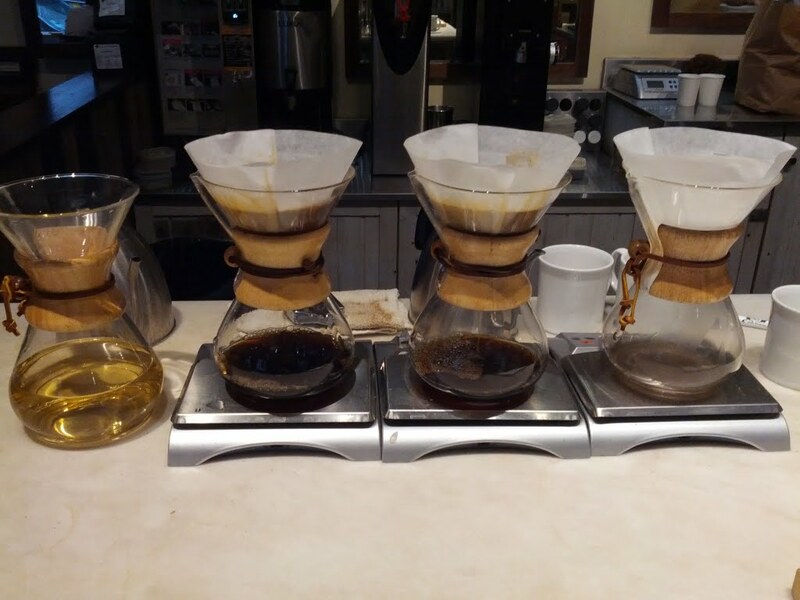 Different coffee blends were prepared one cup at a time. 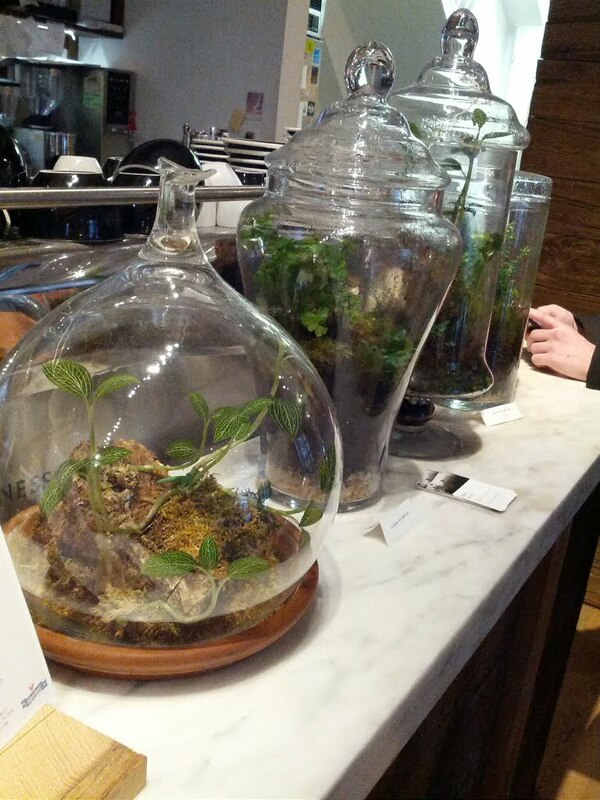 An herb garden under glass occupied one counter. Refueled, we continued on in the direction of Old City admiring the buildings on both sides of Walnut St.
We walked through the Shops at the Bellevue and admired the grand lobby. We emerged and oriented ourselves using William Penn's figure at the top of City Hall. We continued our walk into Society Hill. ...doggie...ladies purse...and Jimmy Choo shoe box. A cake made to look like cake and ice cream delighted us. We finished our visit with mouths watering over this canoli filled with canolis. We spotted some fun and colorful street art as we continued toward Old City. Even the bus shelters were artistic. We always enjoy exploring cities on foot because it gives us time to appreciate the little details.